When having a brain storm on label ideas, we found a doctor's recept on the desk. 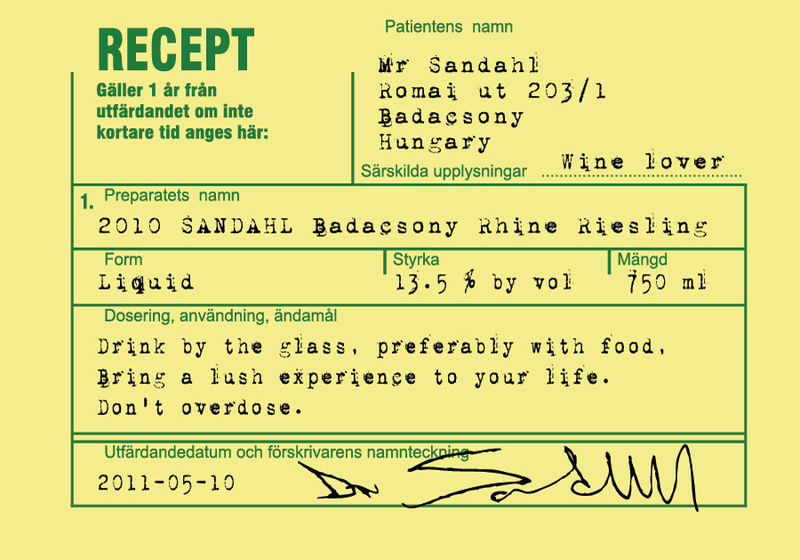 The simple thing was to exchange the prescribed medicine to our wine. Taste: This taste has a fresh acidity and some balancing residual sugar to attract the core customer segment. It is a powerful and extremely pleasant wine with the taste reaching its maturity within shortly. 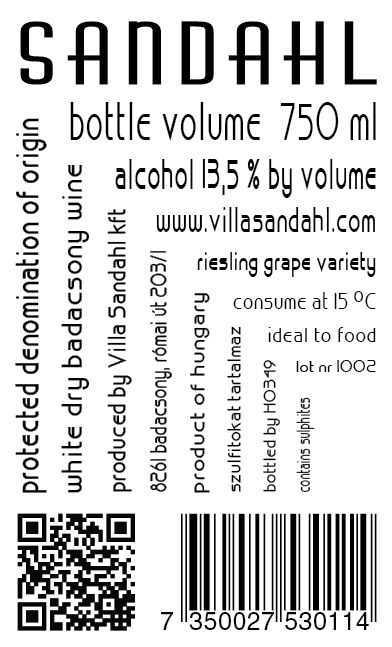 Judgement: It is a bold and dramatic wine, accessible for immediate consumption or storing it for 5 years.